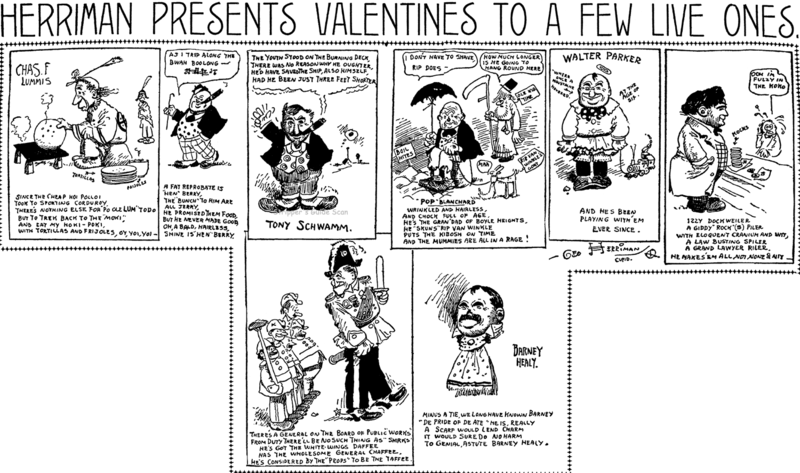 Friday, February 14 1908 -- It's Valentine's Day and Herriman has some versified shout-outs to local Los Angeles luminaries. Walter Edward Quermann was born at home in St. Louis, Missouri on May 10, 1897, according to the Missouri Birth Records at Ancestry.com. In the 1900 U.S. Federal Census he was the third of four sons born to Herman and Mary. His father was a photographer and of German descent; his mother was Canadian, English-seaking. The family lived in St. Louis at 1447 Chamber Street. The family remained in St. Louis in 1910 but at 4016 Palm Street. Quermann was a fine arts major in college. The Bulletin of Washington University, St. Louis, Fifty-seventh Annual Catalogue, March 1914 listed him on page 385. It is not known if he graduated. He signed his World War I draft card on June 5, 1918. He lived at home with his parents and was employed at the Barnes Crosby Engraving Company. His description was medium height, slender build with gray eyes and brown hair. In 1920 the family was at the same address but without the oldest son. Quermann was an artist at a stationery company. He has not been found in the 1940 census. Quermann married Ruth Evelyn Williams on November 6, 1953 in Shelby County, Tennessee. The marriage license can be viewed at the Shelby County Register of Deeds. (It takes several seconds to load the list of names before you can scroll down to his name.) Quermann passed away on March 2, 1956. The Seattle Daily Times reported his death on March 4. 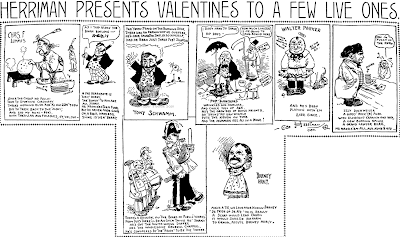 St. Louis, March 3.—(AP)—Walter Quermann, St. Louis Post-Dispatch staff artist and creator of the Sunday comic strip, “Hickory Hollow Folks,” died yesterday at Jewish Hospital after suffering a heart attack. He was 58. The St. Louis Public Library has information about Quermann at the Central Library. Post-Dispatch obit is a bit more specific: "He...entered the Washington University School of Fine Arts where he studied for two and one-half years." Also, according to these, he joined the Post-Dispatch in 1921. Many thanks for that scan (more please!) & for the marriage license link. GAR was the pseudonym of Raymond H. Garman who was born in Crete, Illinois on August 7, 1873, according to a passport application filed on December 20, 1919. However, the 1900 U.S. Federal Census recorded his birth as September 1873, and the California Death Index, at Ancestry.com, gave his birth date as August 10, 1872. In the 1880 census Garman and his mother, Carrie (Mary Caroline), lived with her brother's family in Bloom, Illinois. An Ancestry.com family tree said his father's name was Samuel. Information on his education and art training has not been found. ...The artists signing the document were: L.D. Bradley, Charles F. Batchelder (C.F.B. ), Raymond Garman (Gar. ), John Lilcso (Lil. ), George Frink, Reinhold Palenske (Pal. 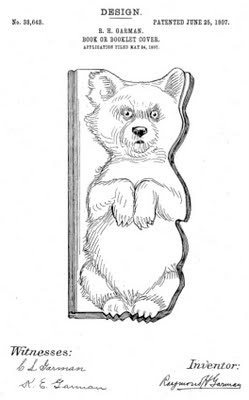 ), Charles Tanner, Harry Hirschfield (Zing. ), William Molt and Thomas A. O'Shaughnessy (O'Shau.)…. 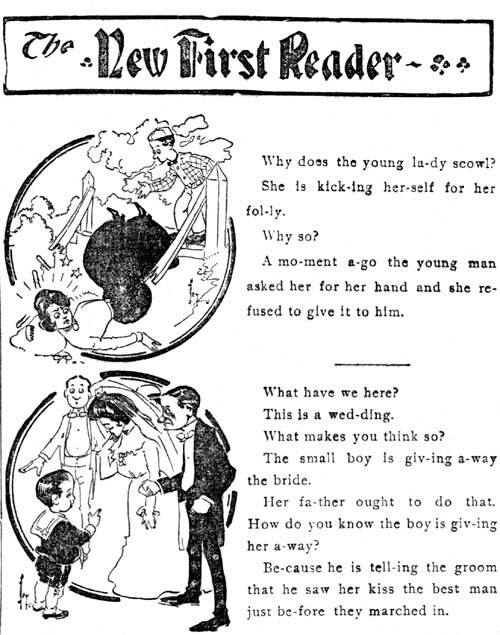 The Publishers Weekly, August 8, 1903 issue, listed one of his books. Garman, Raymond H., ["Gar," pseud.] Jungle larks; funny stories in words and colors, merry pranks, odd scenes, droll incidents of animal life. Chic, Laird & Lee, 1903. c. no paging, il. Q. bds., $1. A collection of funny animal stories for children, told in many combinations of colors. Seven years later was this entry in the Catalog of Copyright Entries, Part 1, Group 2: Pamphlets, Leaflets, etc., New Series, Volume 7, Group 2, Numbers 40-43, October 1910. © Aug. 15, 1910; 2 c. Sept. 6, 1910; A 2713S9; K.E. 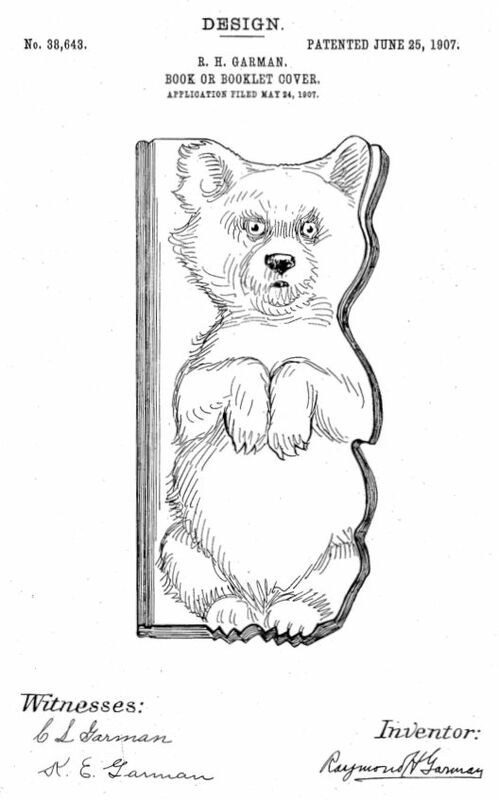 Garman, Wilmette, Ill.
Garman received a patent, 38643, for his "Design for a Book or Booklet Cover"
on June 25, 1907. The application was witnessed by his mother and wife. There was no description of his wife. He gave his mailing address as 9 South Clinton Street, Chicago. In the 1920 census Garman, his wife and mother lived in New Trier, Illinois at 1220 Elmwood Avenue. He was an illustrator and publisher of juvenile books. The couple remained at the same address in 1930; apparently his mother had passed away. Garman was a magazine publisher. The date of their move to Los Angeles, California is not known; most likely they retired there. According to the California Death Index, both passed away in Los Angeles; Kathryn on December 10, 1956, and Garman on July 19, 1961. 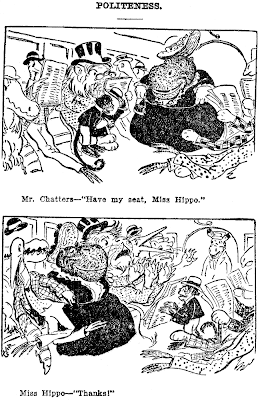 GAR was one of the most prolific cartoonists at the Chicago Daily News in the 1900s, and that is no small feat considering that he was contending with the prodigious likes of George Frink, Ted Brown and C.F. Batchelder. GAR's favorite subjects were jungle animals; although his allotted spaces were tiny, he populated his tiny panels with vast menageries. The problem for this indexer is that GAR's jungle strips all sort of blend together, and since running titles were rarely used in the Chicago Daily News, picking out individual series is rather like trying to sort snowflakes. With GAR and his jungle animals I almost threw up my hands in despair. 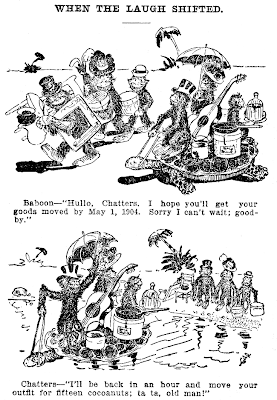 Several discrete jungle titles are indexed in my Stripper's Guide listings, but the ones that often starred monkeys in 1902-03 are indexed under the title Jocko. 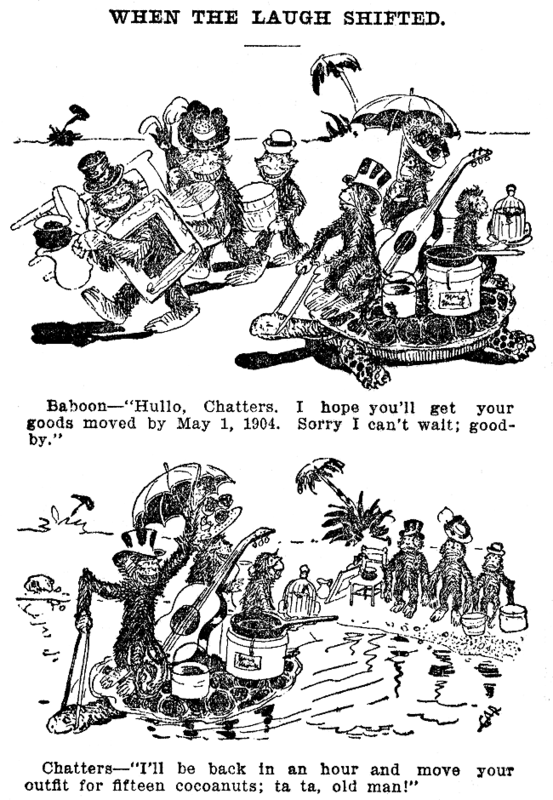 Jocko was the most often named simian when the series 'started' (I use the term loosely, of course) on August 4 1902. This was also essentially GAR's first jungle animal strip of any kind; before that date he did mostly single panel cartoons, which I made no attempt to index (there were upwards of a dozen per daily page, and identifiable series were exceedingly rare). 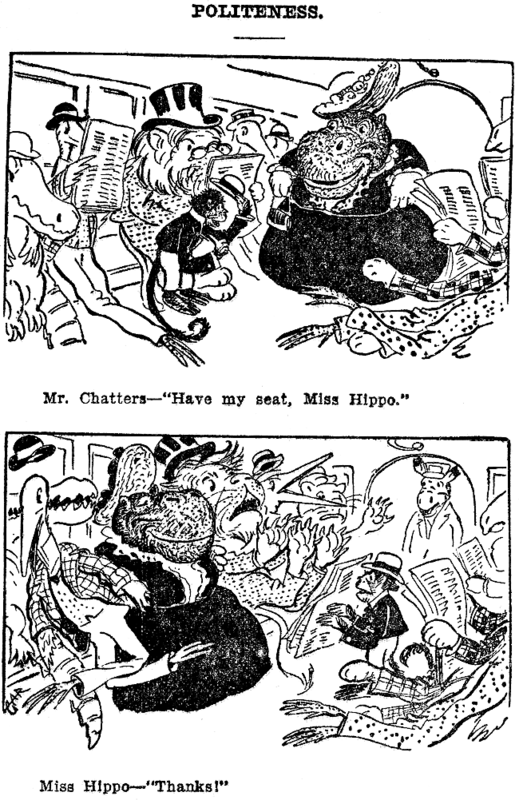 Although Jocko really did start off being the star of the show, GAR soon added many other animals to the mix, often referring to them under the nigh-anonymous names of Mr. Elephant, Mr. Lion, etc. Then later in 1902 GAR seems to forget that his monkey star was named Jocko and starts referring to him as Chatters more often (see samples above). 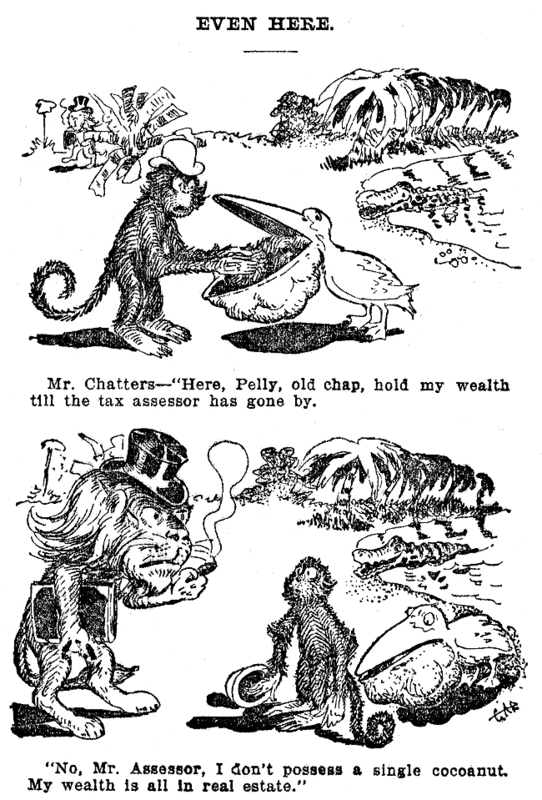 By 1903 the thread of a continuing strip is lost -- GAR is producing all sorts of jungle strips, sometimes with new continuing characters but usually with anonymous animals. So to say that the Jocko, or Chatters, strip ends on some specific date is to engage in folly. Let us say that it petered out as a discrete series in mid- or late-1903 and be content with that. GAR has previously been misidentified on this blog as K.E. Garman, and yet earlier in my research I thought GAR was Gar Schmitt. Tomorrow Alex Jay will put the kibosh on all that by unveiling his true identity. 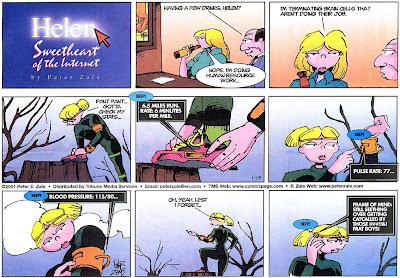 The first comic strip to make the transition from the web to newspaper syndication, at least by a major syndicate, was Helen, Sweetheart of the Internet. The strip debuted on the web in 1996, back when it was still populated mostly by techies. The subject was a natural for that audience; Helen was a gorgeous computer geek babe. 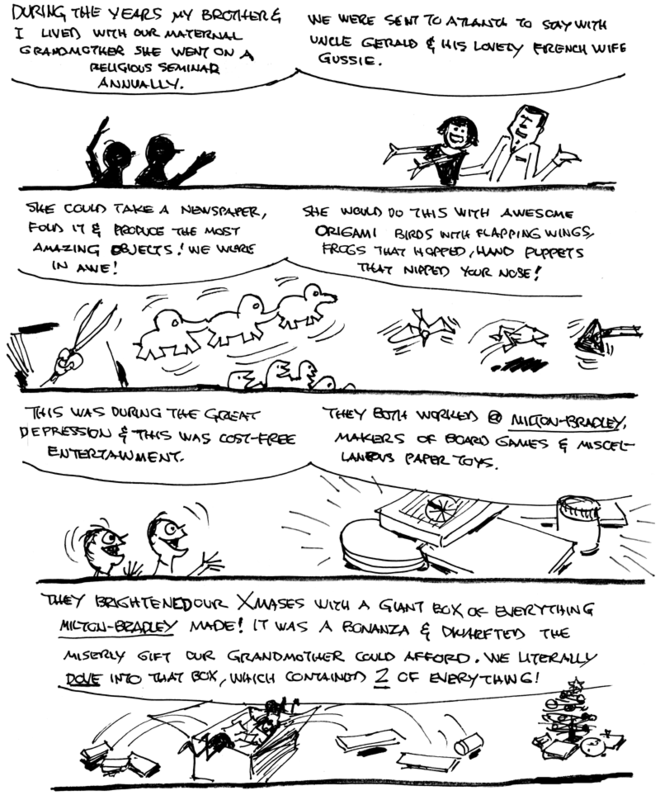 The online version of the strip had a lot of tech-savvy jokes for the Jolt Cola crowd, but when Tribune Media Services picked up the strip for daily and Sunday newspaper syndication in 2000, creator Peter Zale had to dilute the formula. His tech gags were dumbed down to be more accessible to a general audience, and there was more Dilbert-y office humor added. None of the changes did anything to benefit the strip. Online devotees were put off, of course, and newspaper readers, I think, could sense that Zale was lobbing softballs and looking all over for direction. 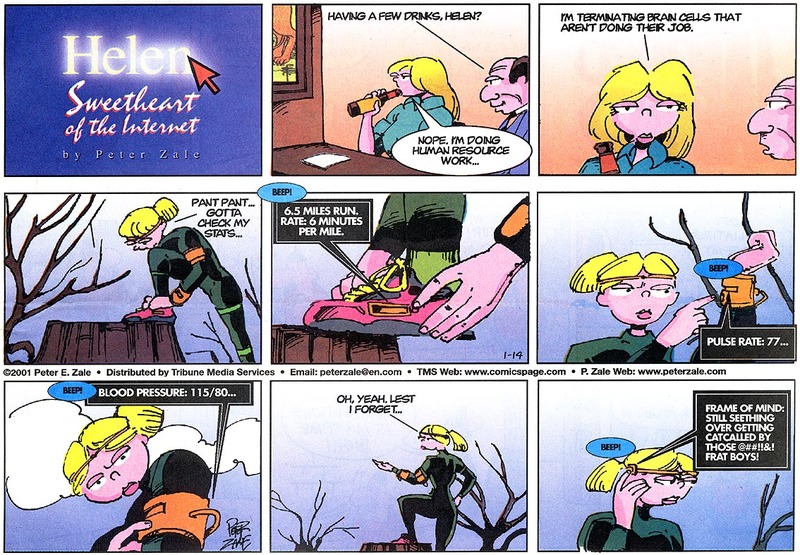 To help make Helen stand out as a computer age comic, tone gradients and other Photoshop tricks were used to make the strip look techie. No amount of Photoshopping, though, could hide the fact that Zale was not an especially gifted cartoonist. His characters, including Helen herself, all looked suspiciously like doodles drawn on a memo pad during a long meeting. This is not an unforgivable sin in itself (again, see Dilbert), but you couldn't always tell what Zale was trying to communicate in some of his drawings. If Tribune was thinking that they wanted to be on the cutting edge by syndicating a web comic, they picked about the worst possible candidate. Helen's main strength was its geek appeal -- newspaper syndication stripped that asset, leaving it like Henny Youngman without the one-liners or George Carlin without the expletives. So the first web comic to make the big leap to the daily paper didn't make much of a splash at all. Zale says that at its peak Helen appeared in 60 papers, a number that seems almost respectable. But my guess is that as soon as newspaper editors realized that running Helen didn't make their newspaper a must-read for twenty-somethings, they dropped it like an Apple Lisa. 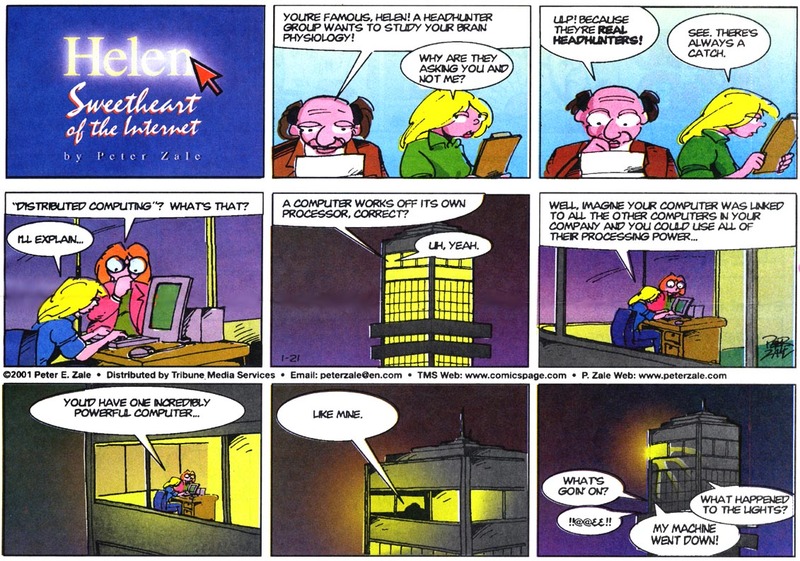 The newspaper run of Helen, Sweetheart of the Internet was from June 5 2000 to December 25 2005. The online version began in 1996. Much, maybe all of the run, is still available on Peter Zale's website. I couldn't see the appeal in this awful thing either when it was being published. You both are little shits.